The great thing about organizing my reading this way each day is that I can quickly sort through all of the articles that are most relevant to me without wasting time crawling across the larger web. The downside unfortunately is that it becomes very easy to fall into the trap of living within an echo-chamber. By curating my news, I inadvertently read articles written only from viewpoints that I support, which in turn further reinforces my personal convictions. As an aside: Has anyone actually visited Nokia's website in the past 10 years? One of the largest makers of mobile devices in the world can't even design a responsive, mobile-centric webpage!? It's little wonder they are sitting squarely at the top of RRW's DeathWatch. Group-think aside, the ways in which I consume this content is almost entirely via mobile devices. I have a Google provided Motorola Xoom that I use pretty frequently. 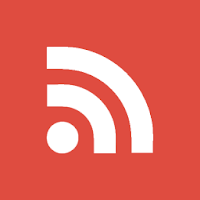 I have also moved away from using the native Google Reader android app and now use a combination of Flipboard and Feedly (both of which still sync with feeds that I manage through the Google Reader web client). I also read a lot straight from my phone, but seldom find myself doing a large amount of reading from a desktop or laptop. I think that regardless of how I consume media, or the types that I do consume, the important thing is to keep an open mind to alternative viewpoints. Just because I read the NYTimes and prescribe to their liberal interpretations of the world's news doesn't mean that I dismiss conservative ideas outright. At the same time, this also doesn't mean that I'm ever going to incorporate Fox News into my morning digest. When all is said and done, my beliefs are still rooted firmly upon the traditions and values that my parents taught to me growing up. If the news I subscribe to reinforces and compliments those values, all the better. Posted by Patrick Dugan on June 17, 2012 .